So last week I got myself a Intensity shuttle from Blackmagic. 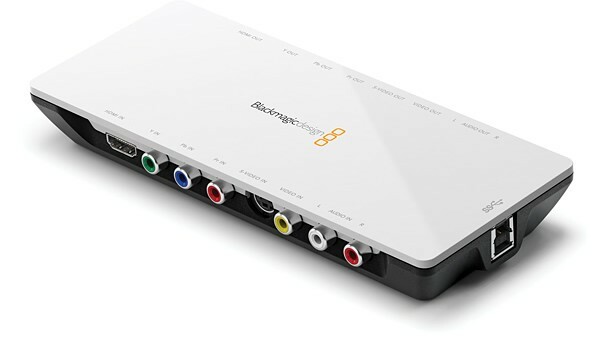 The device lets you record/stream any component, composite, or HDMI (non-HDCP) device to your PC/web. Now so far I’ve only been streaming from my PS3 to twitch.tv/theagain and I’m pretty impressed with the quality. Setting the device up was a bit of a pain, and in order to play my systems I have to have either the bundled software opened on my PC or the Adobe media streaming software open, if not I am left with a black screen, a minor draw back until i find a work around for it. In the near future I will be recording some Xbox games to make use of the HDMI recording (PS3 uses HDCP for game play on HDMI) but with nothing coming out for 360 that i want till next year (ME3!) that may be a while. All in all I am rather pleased with the Shuttle, I have seen a few other devices that do the same thing on the market but they use USB 2.0 and cannot record in 1080p, and only connect through composite, so if you’r looking to stream or even just record you system gaming I’d recommend the Shuttle!